Collegiate opened its doors on September 23, 1915 in a house on West Ormsby Avenue in Old Louisville, becoming the first school in Kentucky committed specifically to preparing young women for college. This progressive vision was brought to life by Virginia Perrin Speed (1879-1968) and her husband William Shallcross Speed (1873-1955), the principal founders and sustainers of the school in its formative years. Throughout Collegiate's early decades, the school intermittently experimented with enrolling small numbers of boys in the primary grades. The Lower School eventually committed to a fully coeducational program in 1973. In 1980, Collegiate's Board of Trustees charted another bold, new direction: coeducation in the Upper School. To accommodate the increase in Upper School enrollment brought about by coeducation, Willig Hall was built for $1.5 million in 1983. The first coed class graduated in 1987. Today, the school is nearly balanced in its number of enrolled boys and girls. In the early years, Collegiate's administration frowned upon interscholastic athletic competition. Only intramural sports were offered at the school, with an occasional contest against local schools, until 1933 when, in an act of defiance, a group of spirited Collegiate girls formed an independent interscholastic team to compete in the wider community. School administration tried unsuccessfully to forbid participation, but the students persisted and a strong athletic tradition was established under the Amazon banner. When the school formally adopted an interscholastic sports program, it also formally adopted the Amazon name. And, when male student-athletes began representing the school in interscholastic competitions during the 1980's, Collegiate again turned to its classical roots, adopting the Titan name for its male athletic teams. As part of the school's master plan, Collegiate launched the 2001 Leap Without Bounds campaign in order to further expand its Upper School program. The $12 million capital campaign featured a new 62,500 square-foot Willig Hall for grades 9-12, and the Mary Rodes Lannert Athletic Center, as well as the purchase and development of a 24-acre athletic facility at Champions Trace. In recent years, Collegiate has continued its proud tradition of academic excellence by establishing new and innovative programming. In 2006, the school established Kentucky's only Chinese language program for grades 6-12 on a single campus by signing a Memorandum of Understanding with the schools of Jiujiang, China to establish annual student exchanges. In 2008, the school opened a Junior Kindergarten, becoming the only National Association for the Education of Young Children (NAEYC) accredited program in Louisville attached to a K-12 school. 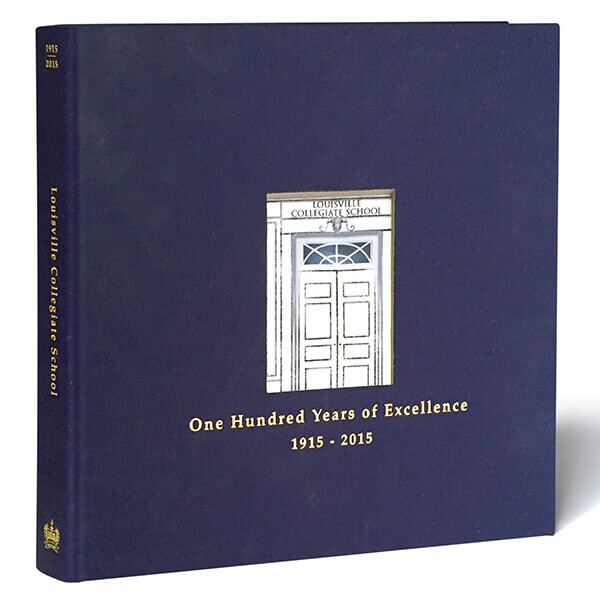 This year, Louisville Collegiate School is celebrating its Centennial with nearly 700 students enrolled in grades JK-12. A number of years ago, when I brought my first daughter to Collegiate for an introductory school tour, I was moved by the simple words colorfully painted on the dining room soffit: Respect, Honor, Responsibility, and Compassion. Fifteen years later, as my second daughter is about to graduate, those words still ring sweetly. It has been an incredible journey, a richly textured portrait of classwork, sports, art, theater, and many wonderful friends, all framed by a school community that I have grown to love and respect. In years past, I have had the pleasure of cavorting about in the Hollywood screenwriting trade, with more recent, modest success in my newfound passion for writing fiction. 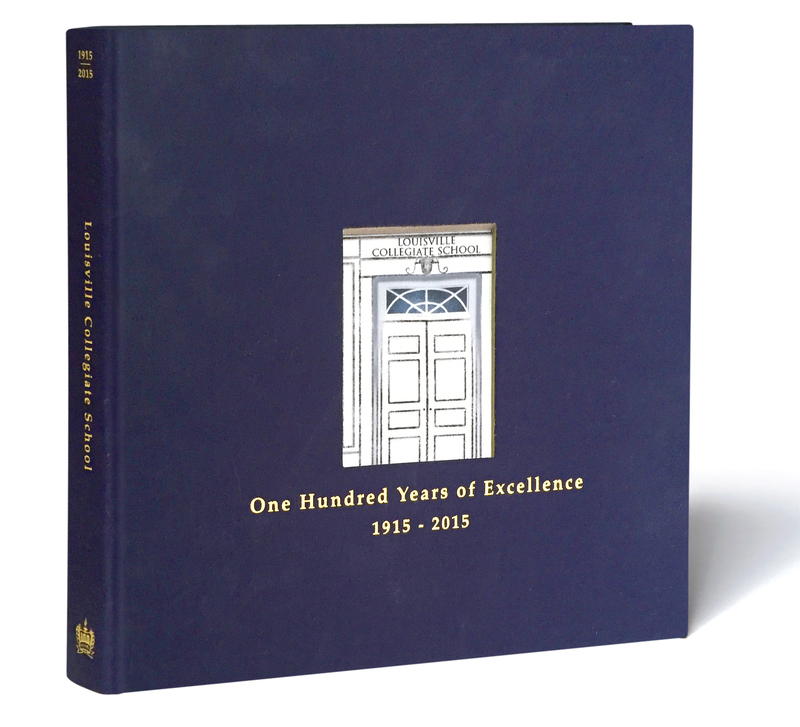 None of this, however, compares to the deep satisfaction of assisting in the creation of our centennial book. Louisville Collegiate School is inseparable from the astounding events and people that have surrounded and shaped it. Cheers to this graceful lady and to her next one hundred years of service. 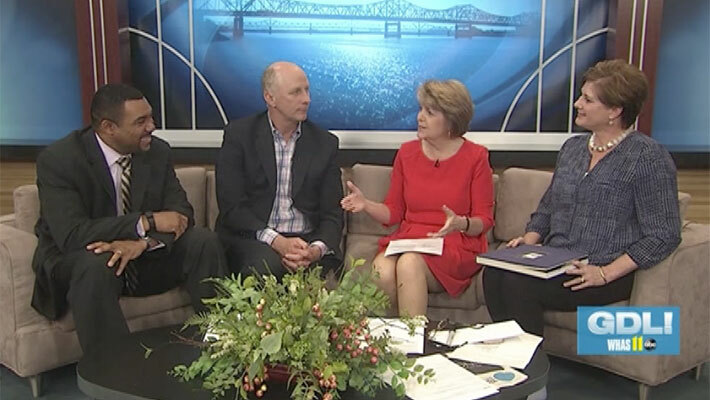 It was my pleasure to coordinate the efforts of many people whose common cause was celebrating Louisville Collegiate School and preserving the stories of one hundred years of our Collegiate family. The process was personal for me. As I discovered images of my grandmother, Mary Peabody Jones Fitzhugh, dancing the highland fling in 1918, and of my mother, Edith Fitzhugh Camp 48, dressed for competition as an Amazon, I learned more of their talents nurtured at school but not apparent in our lives together. Memories of my dear classmates and contemporaries of the 1970s came to life. My great appreciation of my own teachers and of my teaching colleagues of the 2000s also increased when viewed through the lens of all those who loved learning and dedicated themselves to instilling this love in their students. Sweetest of all, I revisited phases in the development of my own three children, as well as those of many former students, with the confidence that they are all well equipped to face life and to shape the future.